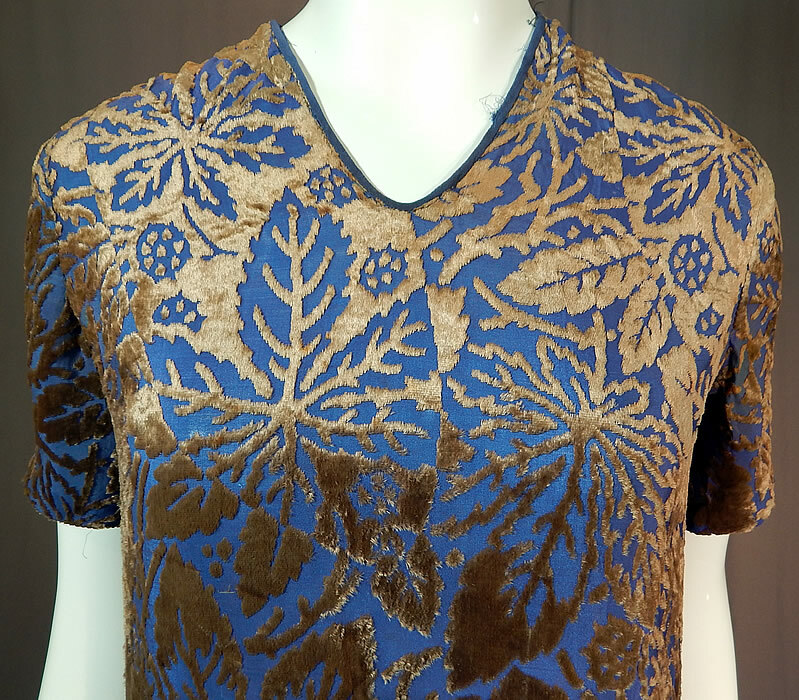 This vintage Art Deco taupe and blue burnout voided velvet grape leaf devore dress dates from the 1920s. 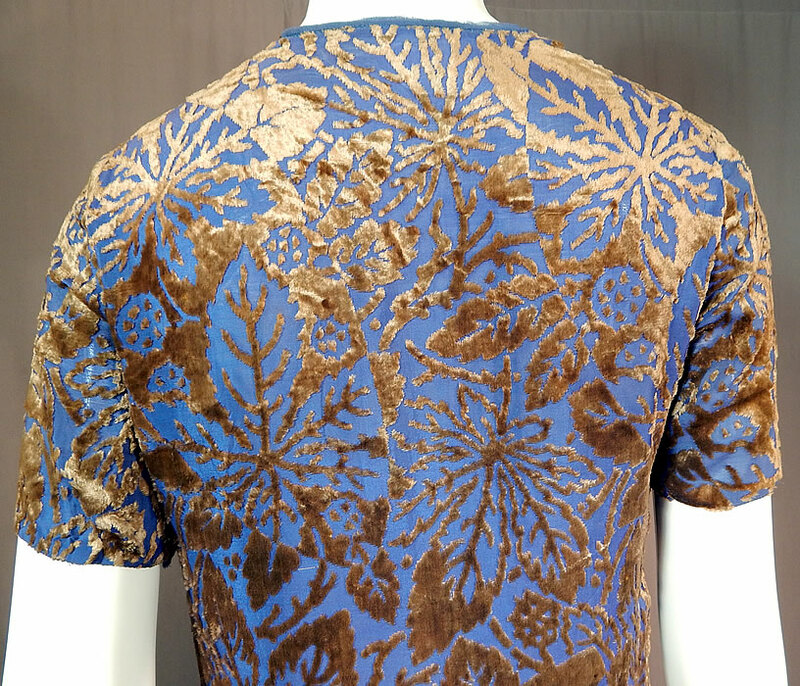 It is made of a periwinkle blue silk chiffon and taupe beige color voided cut velvet burnout devore fabric, with a grape leaf fruiting berry design pattern. 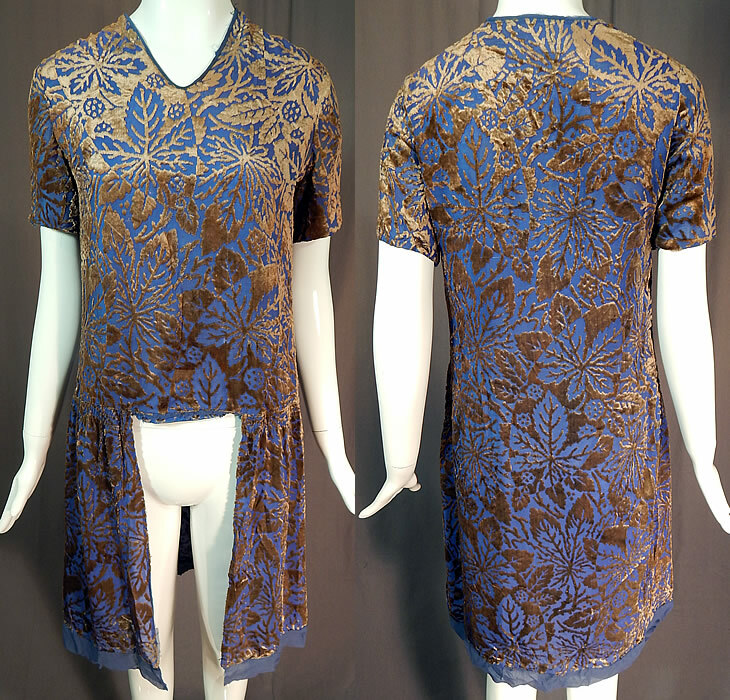 This beautiful blue dress has a short tunic top drop waist style, with a cut out open panel front skirt, pleated smocking gathers along the side hips, a V neckline, short sleeves and is sheer, unlined. 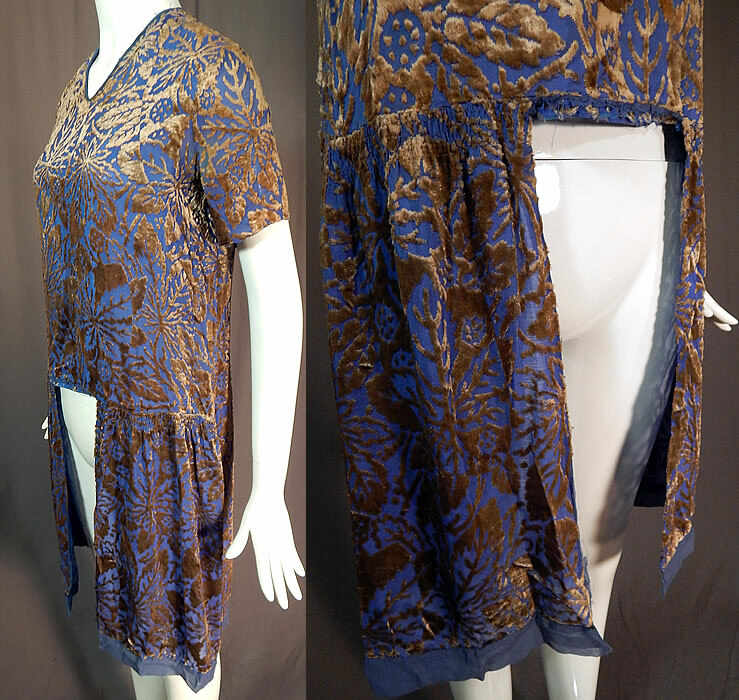 The dress measures 38 inches long, with a 21 inch long cut our front skirt, 36 inch bust and 32 inch waist. It is in good as-is condition, with faint underarm discoloration and missing the front skirt panel. 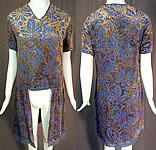 This is truly an extraordinary piece of wearable Art Deco textile art which would be great for design!